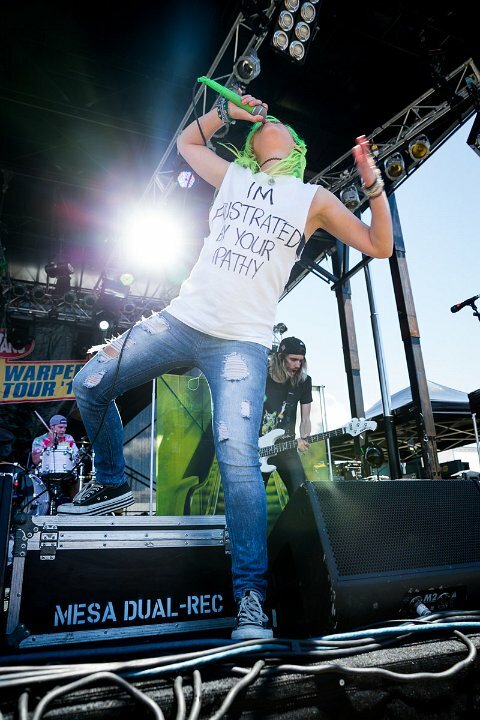 Photo gallery of Jenna McDougall of Tonight Alive wearing chucks in performance and casual shots. 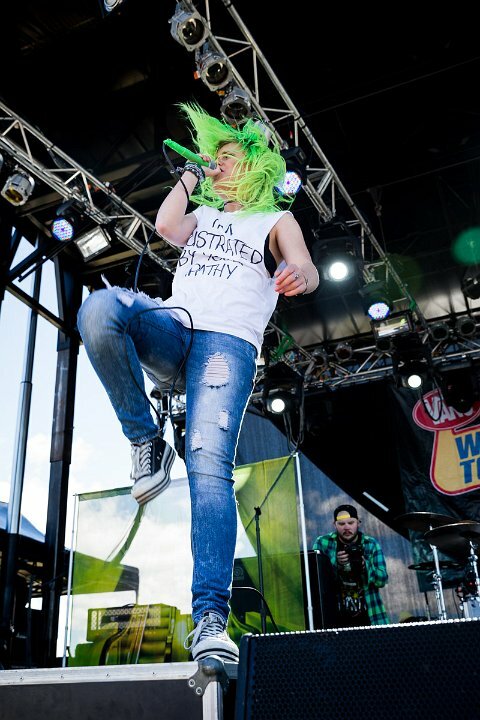 1 Tonight Alive Jenna McDougall performing in black platform low cut chucks. 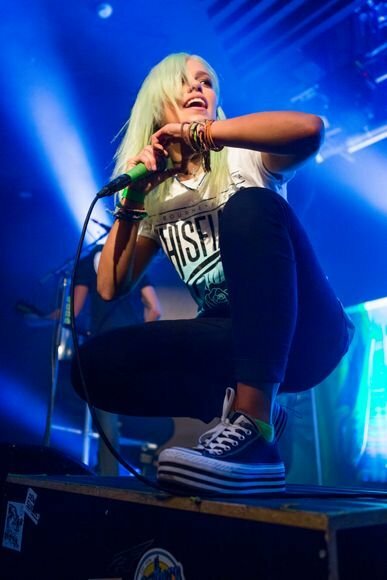 2 Tonight Alive Jenna McDougall on stage wearing black high top chucks. 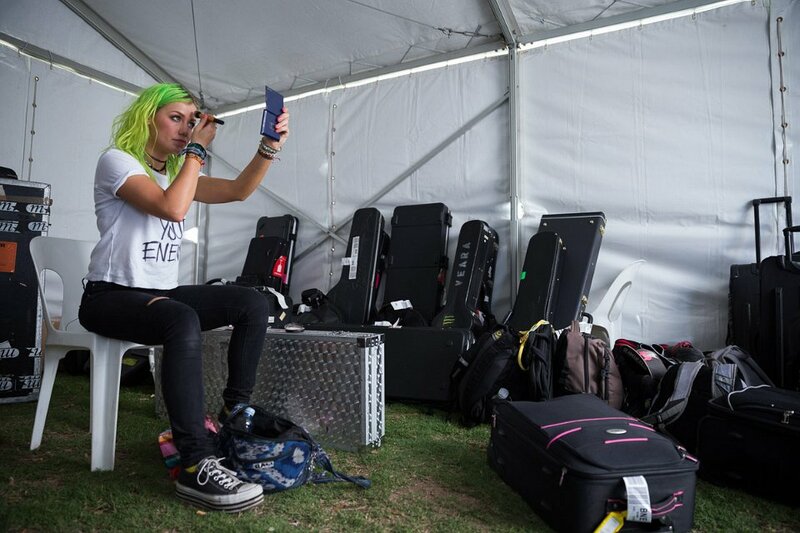 3 Tonight Alive Jenna back stage applying makeup. 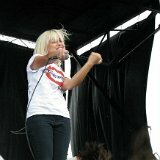 4 Tonight Alive Jenna in performance. 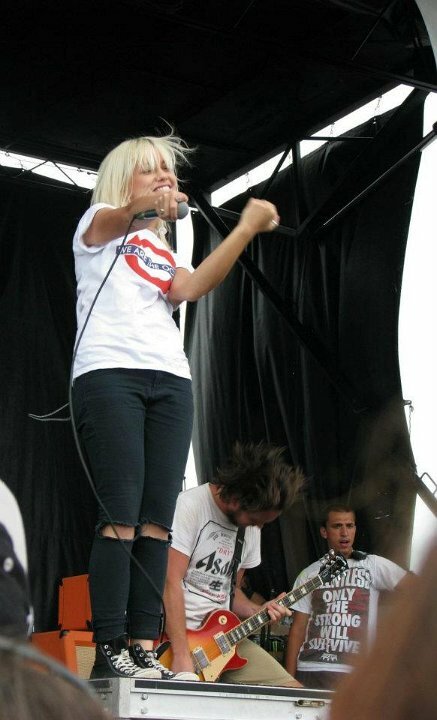 5 Tonight Alive Jenna performing in black platform chucks. 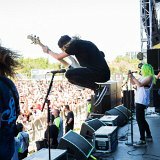 6 Tonight Alive Tonight Alive in performance. 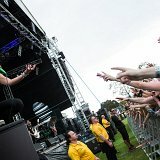 7 Tonight Alive Tonight Alive performing, view from the back of the stage. 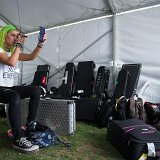 8 Tonight Alive Jenna connecting with her audience. 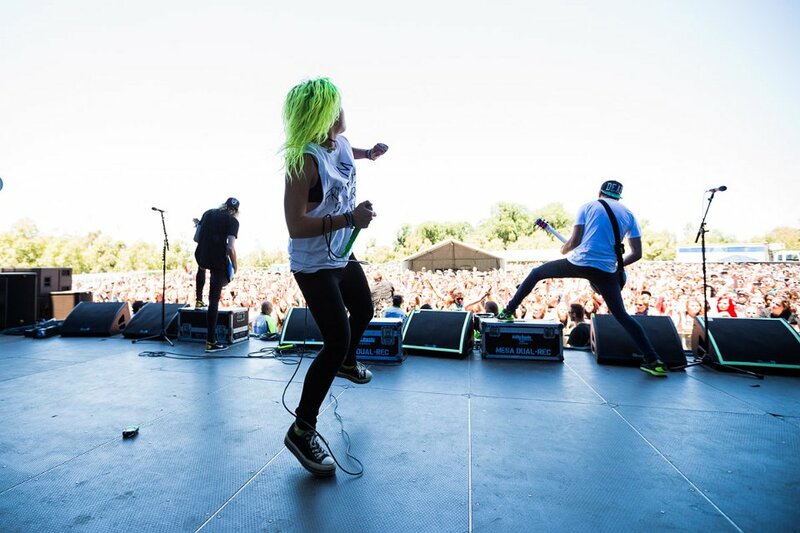 9 Tonight Alive Jenna performing in black high top chucks. 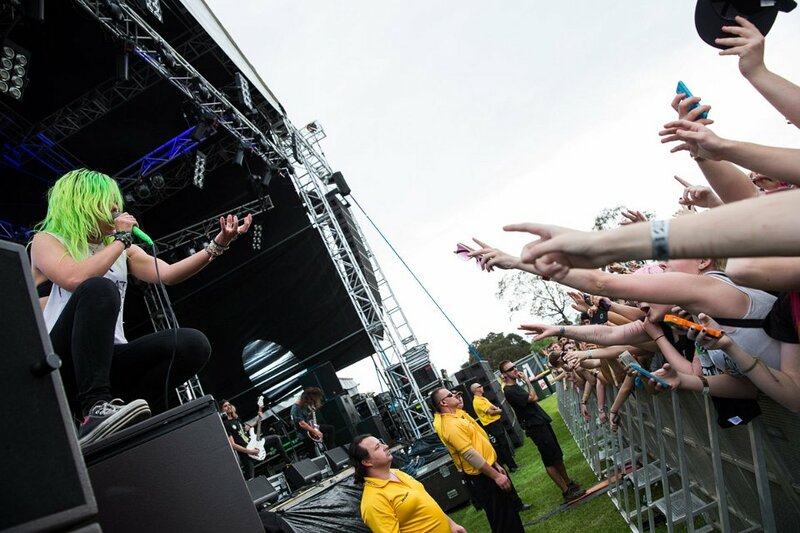 10 Tonight Alive The band acknowledging the audience cheers. 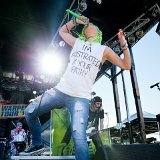 11 Tonight Alive Posed shot of Tonight Alive. 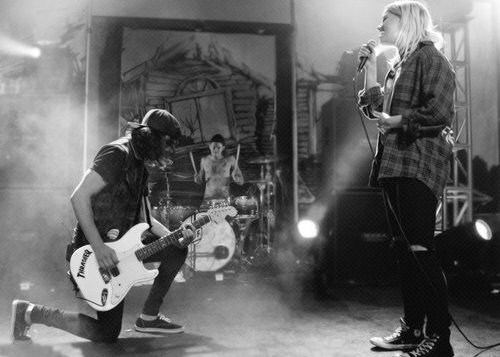 12 Tonight Alive Jenna seated on some wooden stairs. 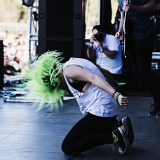 13 Tonight Alive Jenna in concert. 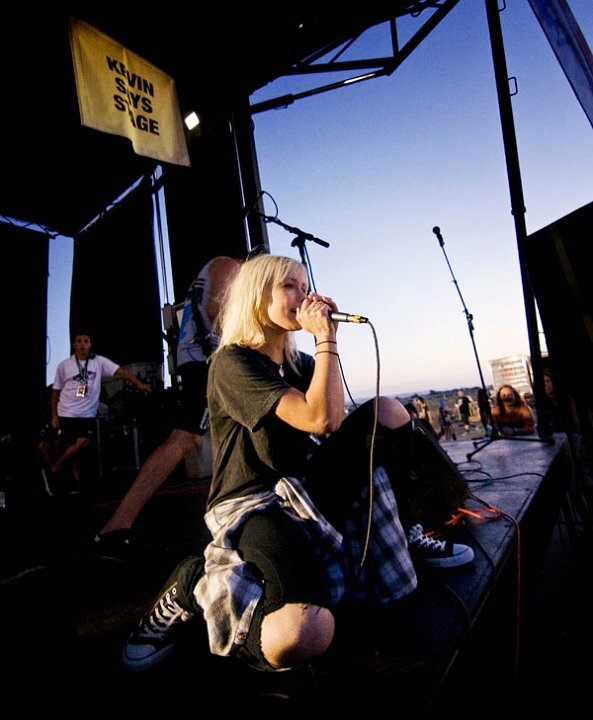 14 Tonight Alive Jenna kneeling down on stage. 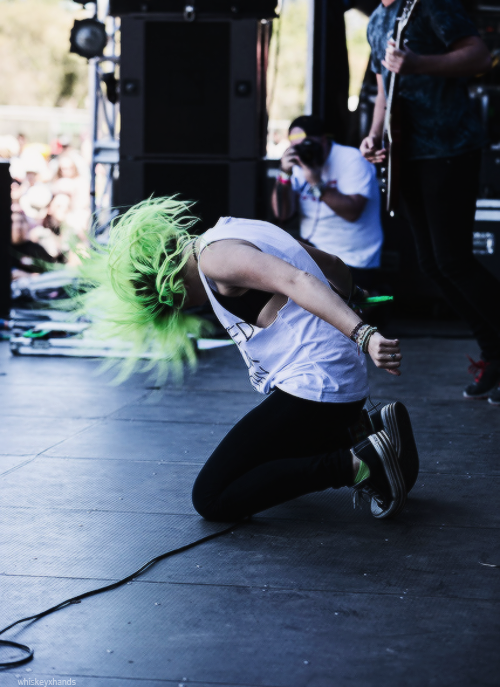 15 Tonight Alive Jenna in performance. 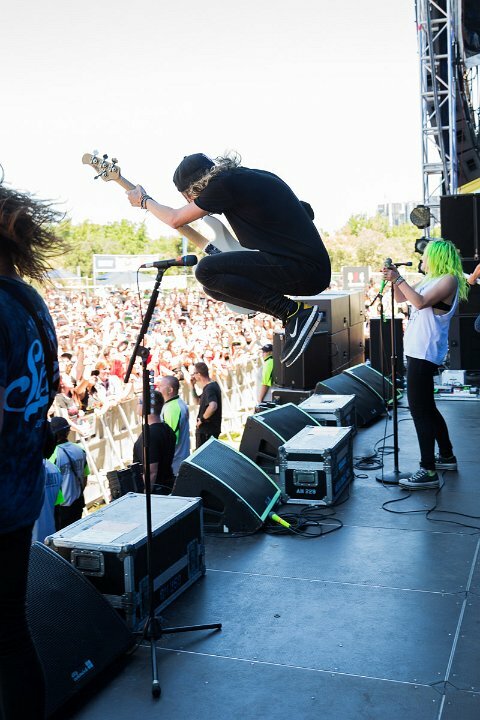 Tonight Alive are an Australian five-piece pop punk band from Sydney, formed in 2008. 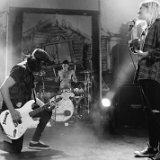 The band currently consists of lead vocalist Jenna McDougall, lead guitarist Whakaio Taahi, rhythm guitarist Jake Hardy, bassist Cam Adler and drummer Matt Best. 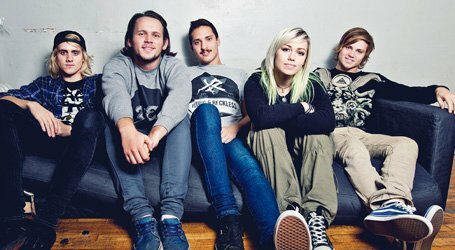 After self-releasing the EPs, All Shapes and Disguises and Consider This in 2010, Tonight Alive signed to Fearless Records in November 2011 and released their debut album What Are You So Scared Of? on 14 October 2011. The record was officially released in the UK and US on October 2012, a year after its initial release in Australia. Their second and most recent studio album, The Other Side, was recorded in Australia and released 6 September 2013.